Snap Interactive has rebranded as PeerStream, and plans to launch a blockchain-based messaging app called Backchannel later this year. In an interview with Business Insider, CEO Alex Harrington explained the name change and new business line. When Snapchat’s parent company, Snap Inc., went public last year, Snap Interactive unexpectedly got a boost because of its similar name. At the time, the company’s chairman defiantly vowed there was no name change in its immediate future: “We’re the ones who have had the name for 10 years,” Jason Katz said. 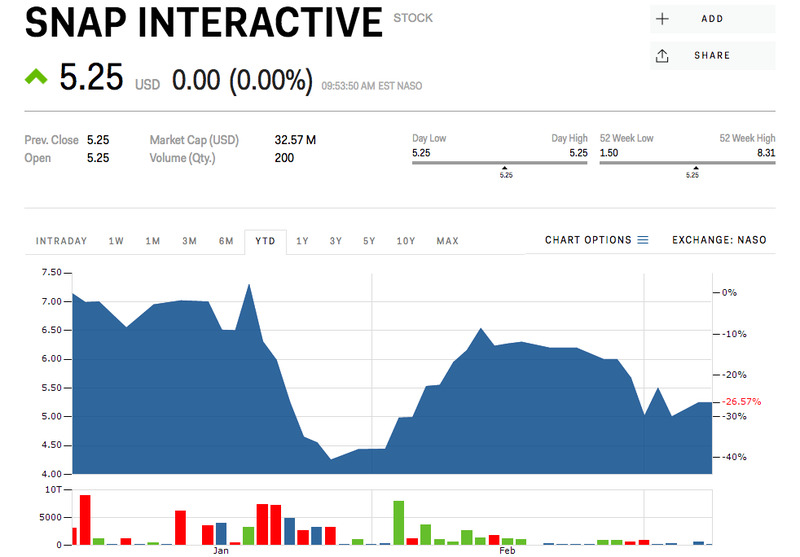 Now, 12 months later, Snap Interactive, which has built social video apps for over a decade, is changing its name to PeerStream as it charts a new course with a blockchain unit focused on video streaming and peer-to-peer massaging, it announced Thursday. The new name and ticker, STVI, are expected to officially take effect on March 12, 2018. This year, PeerStream hopes to launch a video-streaming application on the Nem blockchain – one of the largest in the world behind Ethereum. Peer-to-peer distribution will help make video streaming more efficient by relying less on centralised data servers, Harrington said. PeerStream also plans to launch a Signal-like messaging app known as Backchannel in the fourth quarter of 2018, Harrington told Business Insider. Backchannel will offer more privacy than even the most secure messaging apps like Signal or Telegram, by using crypto identification and cryptocurrency to facilitate payments within the system. PeerStream also hopes its able to monetise it better than other competing apps. Shares of Snap Interactive, which are listed on the OTC Markets exchange, have lost 26.57% since the beginning of 2018. The company currently has a market cap of $US34.22 million.